It’s been nearly a year since I have posted to Fandango Life, and what a year it has been! I will need a number of posts to document all that has happened, so this is only a brief overview. Probably a little background is necessary at this point. Elen of the Ways is a mythical Welsh figure who exists in several forms. In some versions, she is an antler-headed goddess who appears in forests and wild places. She is also the subject of The Dream of Macsen Wiedig, one of the tales in the collection of mediaval Welsh prose stories called the Mabinogi, where she becomes the wife of a Roman emperor. A Christianized version of her is called Saint Elen of Caernarvon, who was the founder of churches in Wales. Her name is also anglicized as “Helen,” and she is associated with the building of the roads known as Sarn Helen that run from Caernarvon in the north of Wales to the southern border. 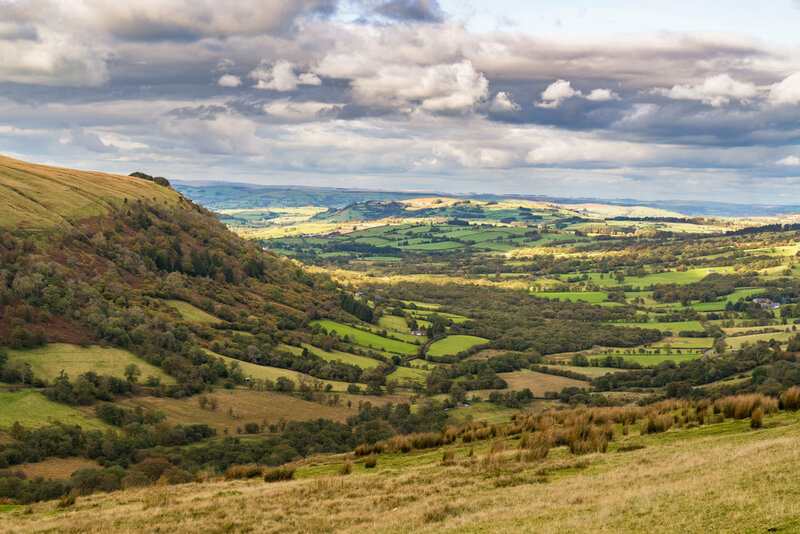 Brecon Beacons seen from Sarn Helen. 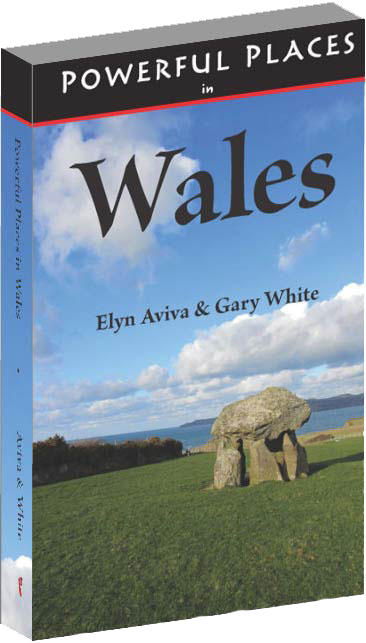 Elyn has long been intrigued by Elen of the Ways, in part due to the similarity of their names and in part due to her long-standing interest in pilgrimage and journey. Elen of the Ways is the patron saint of British road builders and the protector of travelers. As a long-time pilgrim, Elyn had been gently trying to interest me in getting back on the road for several years. I had resisted, considering myself to be too old for such strenuous activity. So when I spontaneously said “Yes,” Elyn jumped on it. In days we were planning our trip to the UK and preparing to walk Sarn Helen. We contacted our Welsh friend Ros Briagha, who had guided us on a previous Welsh adventure (research for our book Powerful Places in Wales). Ros said she was available to be our guide again, and within weeks we were on our way. We are inveterate travelers, but this journey was totally different from all previous travels. We are accustomed to planning our adventures, including detailed itineraries and hotel reservations. What actually happens when we are on the road is always different from our plans and usually much better, but I have preferred to have a plan even if we change it along the way. This trip was different. On our trip to Wales we purposely left the road ahead open. We knew how the trip was beginning—putting our feet on Sarn Helen—but we had no idea where it would go from there. We booked our tickets one-way and had only the start of our time with Ros Briagha scheduled. While we were with Ros, we looked for clues about where to go next. When a clue showed up, we followed it. This took us over most of Wales, to Ireland, to Edinburgh, Scotland, the Orkney Islands, and back to Wales. Returning to Spain, we decided to live our lives more spontaneously. We call it “Saying YES to uncertainty.” I will leave details of the results of this decision for future blog posts, but suffice it to say that we now find ourselves living in Oviedo, Asturias—900 kms (560 miles) from our previous home in Girona, Cataluña. We love our new home town. I am calling my saying “YES” to Elen of the Ways the beginning of my “third lifetime.” More on that also in future posts.